Steam or boil the potatoes until tender. While the potatoes are cooking, place the mustard, lemon juice, parsley, dill, oil, salt and pepper in a food processor and process until finely chopped. 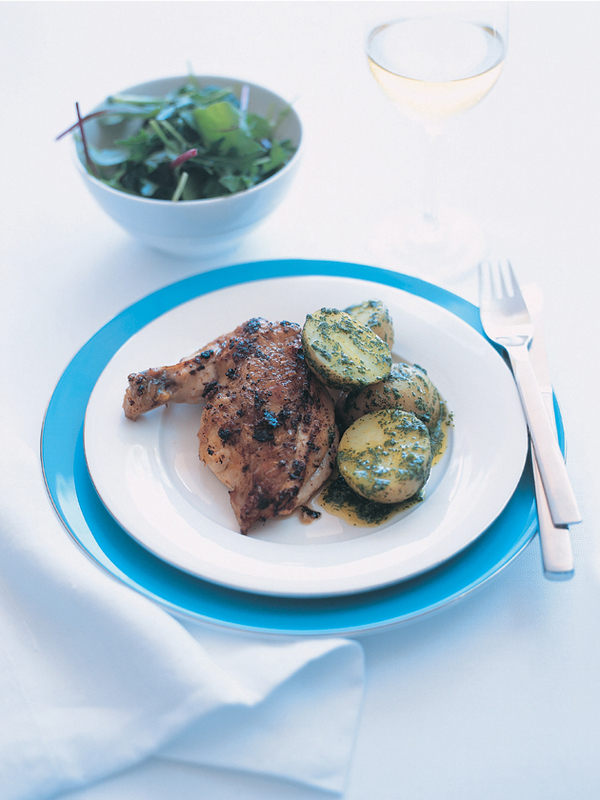 Toss the hot potatoes in the salsa verde and serve with roasted garlic baked chicken. Serves 4.